arrangeCARE works with individuals and families who are facing care challenges including older adults, people with disabilities, and those facing long term chronic care needs. Our team has decades of experience serving the needs of the elderly. We work with families, professionals, and individuals, to help arrange the best CARE available. Regardless of the challenge you may be facing, we have experience to apply to a solution. As one of the original care management providers in the Austin area, we know the best resources, have built great relationships, and are poised and ready for the needs of the upcoming Baby Boomer generation. We are here to stand next to you as you age. Leah Cohen is a licensed social worker, registered guardian, and mediator. She currently has a private care management company, arrangeCARE pc, focusing on older adults and people with disabilities over the life span. She has over 30 years experience working with aging and disability populations. 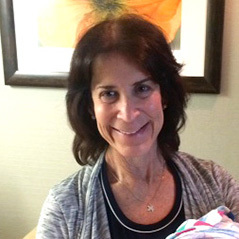 Ina Picarello is a nurse care manager with over 35 years of experience. She started her career as a nurse in a hospital setting and went on to work in the community with the visiting nurses association and other nonprofit organizations who provided rehabilitation services and programs for the disabled. As a care manager, she works in a range of capacities to manage medical care for individuals, while also working closely with families and medical providers. She assess and anticipates needs, develops customized care, coordinates services, provides ongoing support and maximizes health benefits. Most recently, the majority of her work has been with seniors, but she also manages care for individuals of all ages during acute medical crises and/or during rehabilitation. She is a compassionate care manager who acts as a tireless advocate on behalf of her clients. Ina has completed the HHSC RUG (Resource Utilization Group) Training for Nursing Facilities and the Medical Necessity & Level of Care Assessment for Community Services training through Texas State University. 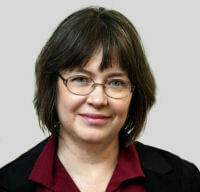 Ramona Brush has a Bachelor’s of Social Work awarded by the University of Texas at Austin. She has over 30 years of passion and experience in coordinating services and advocating for the optimal quality of life and wellness for vulnerable elders, persons with developmental delays, and persons experiencing mental/behavioral health issues. Ramona has been certified as a National Guardian since 1999, achieving the credential of National Master Guardian in 2007. 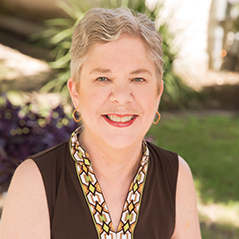 She is a Texas Certified Guardian who served in a leadership role in Family Eldercare’s Guardianship Program for 19 years, and was elected for two terms as a member of the Board of Directors of the Texas Guardianship Association. Her care management practice is guided by compassion and curiosity, honoring the critical importance of a client’s family and friends. She brings enthusiasm and an in-depth knowledge of community resources to her work. 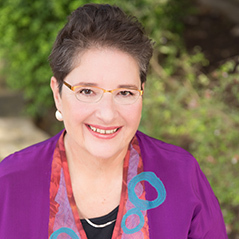 Linda Angerstein earned her BA degree in Secondary Education and English at Texas Lutheran University in Seguin, TX. Following careers in teaching, retail bookselling, pipe organ building, and a variety of other jobs, she now brings her many years of experience to providing administrative support that helps arrangeCARE pc function as smoothly and efficiently as possible. arrangeCARE staff are fully licensed and bonded. We have numerous qualifications and certifications and are members of several professional associations. arrangeCARE serves the needs of elders and their families in the entire Austin, Texas area.